Travel trade types are out on the links today (Sept. 13), teeing off with TravelBrands for a great cause – Toronto’s Hospital for Sick Children. 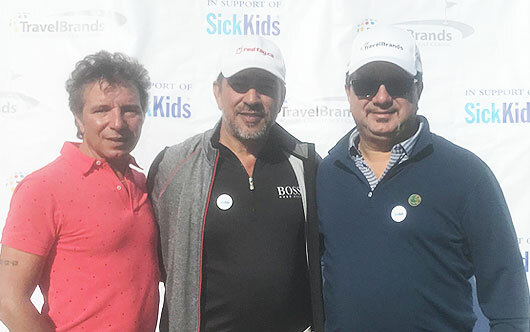 TravelBrands’ fifth annual charity golf classic is taking place at the Eagles Nest Golf Club and participants were welcomed by the terrific trio of Enzo, Joe and Frank DeMarinis. Fore!